Chen Chin was born in Niu-pu, Shiang-shan Township in Hsunchu in 1907. Chen was graduated from Taipei Third Girls High School and the Department of Japanese Painting Education, Tokyo Girls School of Fine Arts. She was regarded as the first female Taiwanese painter. Masters who taught Chen painting included Gouhara Kotou, Yuki Somei, Endo Kyozo and Kaburaki Seihou. In 1927, Chen’s work was selected by the Department of Toyo Paintings in the first “Taiwan Fine Arts Exhibition” along with Lin Yu-shan and Guo Hsueh-hu. After numerous selections by the exhibitions, Chen’s works were given a direct entry in the exhibition. 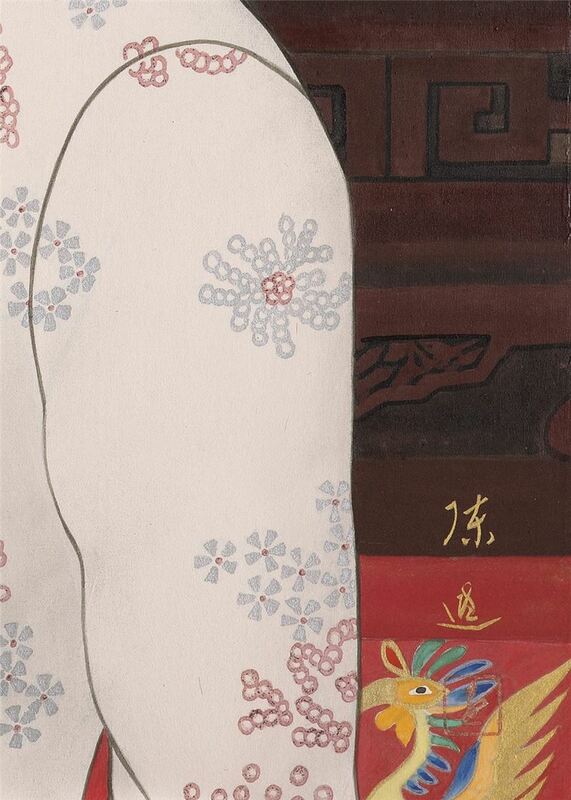 In 1934, Chen’s Ensemble was selected by the 15th “Imperial Art Exhibition” of Japan. She was the first female Taiwanese artist to be granted with the honor. 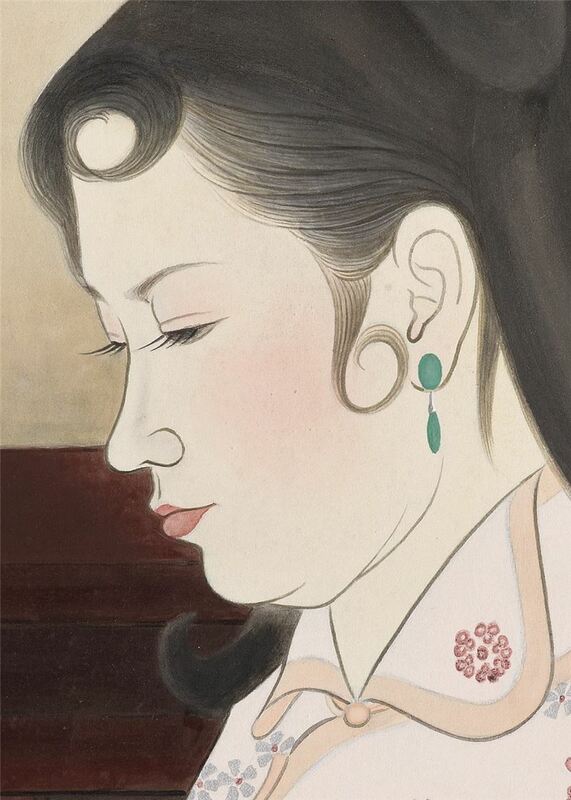 Chen was also the member of Zhantan Club and Tai-yang Art Society, and she also served as the committee and jury for “Taiwan Provincial Fine Arts Exhibitions.” Growing up in a traditional well-to-do Taiwanese family, the well-bred Chen Chin’s was educated under this affluent circumstance. Chen Chin was taught to follow doctrines of the conventional role of a woman. Therefore, Chen incessantly emphasized on the nobility and elegant disposition of women as well as their conventional roles in the family. Chen’s creativity continued across from Japanese occupation to the KMT regime. Throughout her life, she never stop adapting a style through explorations of her private world and presenting the ultimacy of the ideal aestheticism in her mind. 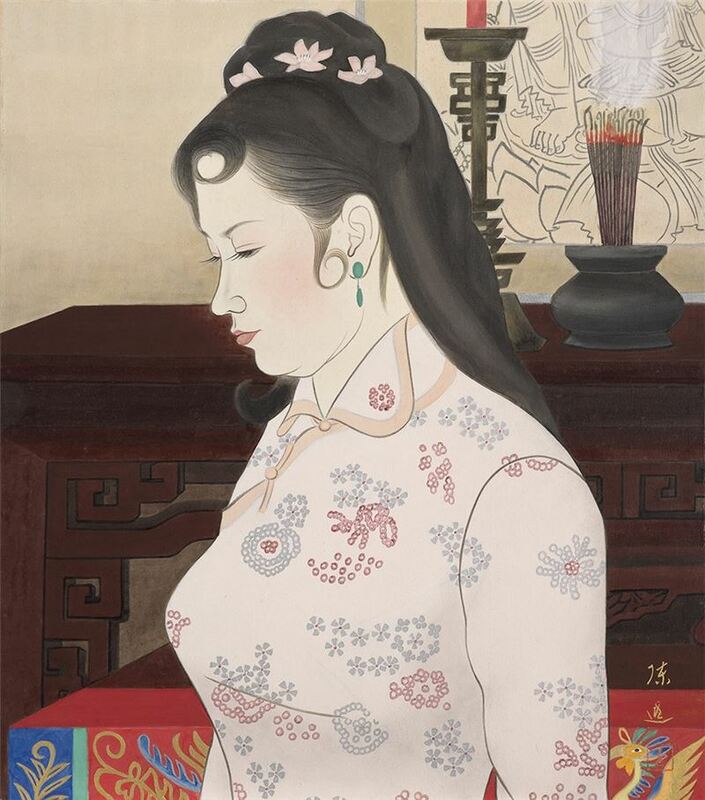 Chen Chin’s artwork is known best for her family portraits. Besides, her illustrations for Taiwanese women are also important. Nevertheless, her portrayals are focused on upper class Taiwanese women whom she considered the representative of her ideal beauty in mind. The artwork Delight Event was completed in the 1970s. Though it does not feature the elegant posed portrait found in her paintings during the Japanese occupation, it consists of an aestheticism that is closer to humanity. With the fluent and brisk lines and classic color arrangements, Chen emphasizes on the dignified and graceful pose of the female, the fabulous and elegant fashion, and the ecstasy waiting to be wedded. Chen vividly captures the verve of the character and presents a virtuous role model of Taiwanese traditional women. Chen stresses on the details of the patterns and textures of the clothing which formats a contrast with the thick heavy squarely shrine in the background while emphasizes the overall joyous milieu with the eye-catching red tablecloth. Chen Chin’s creativity had reached its peak during Japanese occupation, many of the new records of Taiwanese art history was set by her during this period. However, from the 1950s on through the mid-1970s, Taiwanese Toyo painters (painters who studied Japanese paintings) were suppressed after KMT government withdrawn from China to Taiwan. Taiwanese Toyo painters had to adapt new mediums and themes for their creativity in order to conform and respond to the situation. Chen Chin was no exception. Chen Chin nevertheless found her soul sustenance in painting from her family life and themes of flowers. As a wife and a mother, Chen did the best interpretation with her roles. 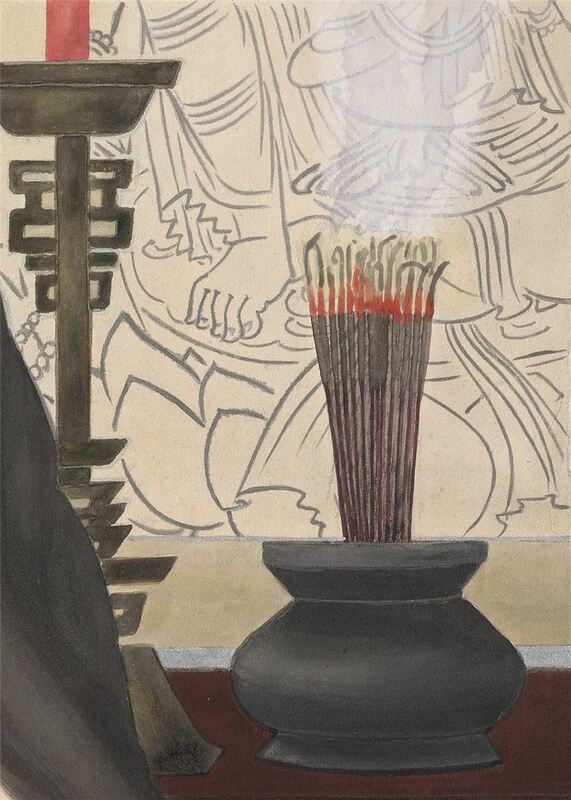 From 1960 on, due to her frail physical condition, Chen developed a series of works surrounding religious themes. In 1976, after her only son went overseas to study in the United States, Chen’s paintings began to dwell upon her son, her family life and the sceneries she saw from her travels. Certainly her feelings and circumstances at her later years were quite unlike her early years. One can tell that Chen revealed a contented and easygoing mental state and had reached another comfortable state of mind with her unrestrained casual strokes and clear bright colors on canvas.